Dive in One Day in one of the most beautiful underwater settings in the World! Although this is not a scuba certification course, you'll learn all the steps it takes to be a certified diver and still enjoy ocean diving in one day! Snorkel the beautiful & famous Looe Key Reef. 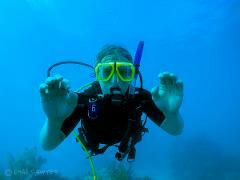 It's the #1 rated diving & snorkeling destination in North America. 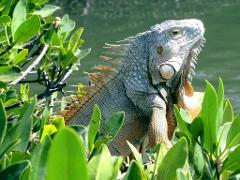 Witnessing the best the Florida Keys has to offer. Full of fish and marine-life. Come join us...Amazing! 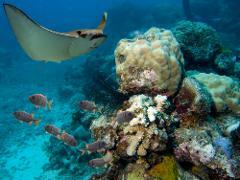 Dive the with most abundant marine life in the Keys. Take a short boat ride to the first reef for a one-hour dive and then another short ride to a second reef for another one-hour dive. Complimentary in-water divemaster on each trip. 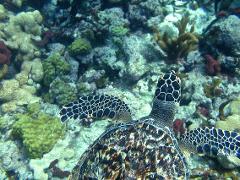 Want to snorkel among sea turtles and reef fish? See moray eels and loads of reef fish? Our 4-hour trips include a short boat ride to the reef for one-hour snorkel and then to another location for another hour snorkel. Come join us! 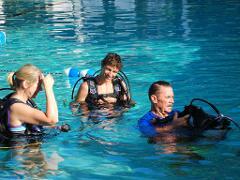 Start the excitement to become a certified PADI Open Water Diver. At Capt. Hook's, you will take your classroom training, perform your diving skills in a pool and get your open water training in the ocean all with our dive instructor. 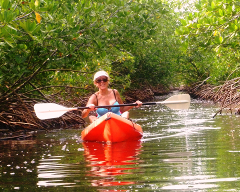 A relaxing and easy tour through the near-shore waters and mangroves of the area that open up to some incredible scenes of birds and marine life as you wind your way through the channels and mangroves. Come explore with us! Island hop with us on this 5-hour tour away from the everyday distractions & enjoy the serenity of the Atlantic & Gulf nearshore islands. Explore our island destinations, catch some fish, snorkel and enjoy our famous island fish cookout! 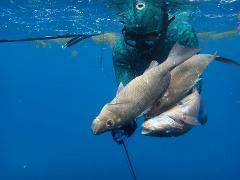 Underwater hunting/spearfishing is becoming one of the fastest growing ocean sports in Florida! At Captain Hook's, choose a private spear guide or take our spearfishing course with an instructor for your spearfishing adventure. A relaxing and easy tour around the near-shore waters and mangroves of the area that open up to some incredible scenes of birds and marine life as you explore the surrounding water of the Crane Point Nature Center. Come explore with us! 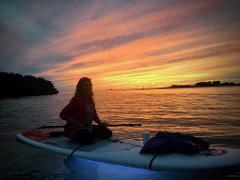 Enjoy the solitude of the Keys' near-shore waters to participate in the most unique Yoga experience possible. Nature surrounds you as you move through the different poses directed and demonstrated by our SUP YOGA Instructor.